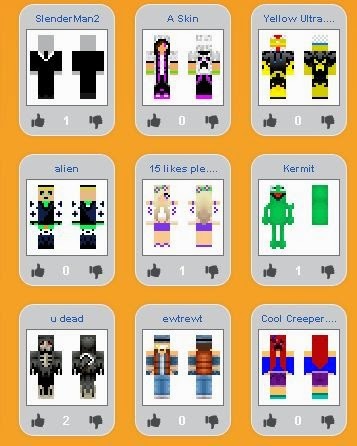 This website has tons of free Minecraft Game Skins. Just sign up for free then look for a skin you like. Once you find a skin you like just click on it. Once you click on the skin you like you will be taken to a new page & on the right hand side you can chose the option that you wish. You will have the options of Uploading the skin to Minecraft, Using their editor to change the skin as you want it, adding the skin to your wardrobe or Uploading the skin to your computer. Just click the link below to scroll through the large collection of free skins. Big Thanks to Aaron for this freebie post!